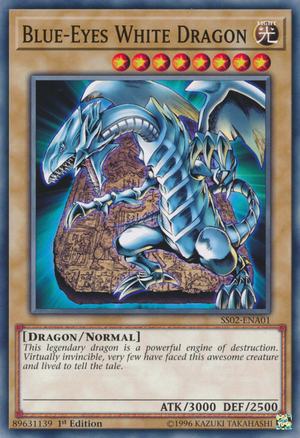 "Blue-Eyes White Dragon", with its password, 89631139, visible in the lower-left corner of the card. A password is the eight-digit number printed in the bottom-left corner on most OCG/TCG cards (certain cards, such as "Gate Guardian", do not have a password, and some cards instead have limitation text in this spot). The password for a card is always the same in all languages and all prints of that card, including alternate artwork versions, except for "Dark Magician" and "Polymerization" ("Dark Magician" has an Arkana version, and "Polymerization" has a "Fusion" version, both with different passwords from their main versions). Because of this consistency, passwords can be useful for identifying cards. Passwords, while serving no real purpose in the OCG/TCG, are used in some video games (the video games in the Duel Monsters, True Duel Monsters, World Championship, and Tag Force (except for ARC-V Tag Force Special) series all use passwords; while most of the games use the numeric passwords as printed on OCG/TCG cards, Duel Monsters I and Yu-Gi-Oh! The Duelists of the Roses use their own passwords). By entering a card's password (usually in a "Password" screen), the player may obtain that card for their virtual collection. This usually has various restrictions. In most games, this can only be done once per card. In some games the player will be given the card for free, while in others the player must also pay in-game currency. In later games, players must already have the card in their card list, either by owning at least one copy of it, or by owning most of the other cards in the set the desired card is from. Yu-Gi-Oh! Duel Monsters and Yu-Gi-Oh! The Duelists of the Roses use their own passwords for cards. Duel Monsters has nine passwords, spelled with kana and used to unlock nine of the 15 secret monsters; each password is the name of a staff member who worked on the game or on the manga at Shueisha at the time. In The Duelists of the Roses, the passwords are mostly alphanumeric, and most of the game's 854 cards have a password. Several video games use passwords for things other than unlocking cards; for example, Yu-Gi-Oh! Dark Duel Stories has passwords that unlock Stage 5 characters, a password that makes Grandpa give the player an extra card after every Duel, and a password to immediately view the credits. Dark Duel Stories also has 106 unusable card passwords which produce a custom error message when entered; several of these passwords have never been associated with cards in the OCG/TCG or in other video games. Passwords are not featured in the anime or the manga, or in other real-life games such as Yu-Gi-Oh! Bandai's Official Card Game, Yu-Gi-Oh! Dungeon Dice Monsters, or Konami's Yu-Gi-Oh! Duel Monsters. "Holactie the Creator of Light", an example of a card printed without a password. A number of cards have been printed in the OCG and TCG without a password. Many of these cards had passwords in various video games, and have often been reprinted with their passwords later on. Giant Card and Official Proxy prints never have a password, though some of them do have limitation text; any cards which are only missing a password in Giant Card or Official Proxy prints are not listed here. Counters, Tokens, Skill Cards, and Boss Duel cards also lack printed passwords, and are also not listed here, though they are members of Category:Cards printed without a password. ↑ 1.00 1.01 1.02 1.03 1.04 1.05 1.06 1.07 1.08 1.09 1.10 1.11 1.12 1.13 1.14 1.15 1.16 1.17 1.18 1.19 1.20 1.21 1.22 1.23 1.24 1.25 1.26 1.27 1.28 1.29 1.30 1.31 1.32 1.33 1.34 1.35 1.36 1.37 Only in video games. ↑ On Japanese and some Korean prints. ↑ 3.00 3.01 3.02 3.03 3.04 3.05 3.06 3.07 3.08 3.09 3.10 3.11 3.12 3.13 3.14 3.15 Only on Japanese prints. ↑ 4.0 4.1 Only in Korea. ↑ 5.0 5.1 5.2 Giant Card prints only. ↑ This card has always been printed with a password outside of Japan. These nine passwords are the only ones in Yu-Gi-Oh! Duel Monsters, and use kana instead of numbers or letters. Each password is the name of a staff member who worked on the game, or who worked on the manga series at Shueisha at the time. This was probably done because Duel Monsters was released before the first OCG set, Vol.1, though it is not known why so few of the cards in the game have passwords, especially since the game credited at least nine individuals, but only six of them had passwords, and since the game includes 15 secret monsters, but only nine of them can be unlocked with a password. 351 Yaranzo ヘイシヨシヒサ heishiyoshihisa Heishi Yoshihisa was a long-time editor for Weekly Shōnen Jump. 352 Kanan the Swordmis ハシモトカナコ hashimotokanako Kanako Hashimoto was the Director of Graphics for Duel Monsters. 353 Takriminos チダタクリ chidatakuri Takuri Chida was a programmer for Duel Monsters. 354 Stuffed Animal キタウエカズミ kitauekazumi Kazumi Kitaue was the Executive Producer for Duel Monsters. 355 Megasonic Eye シモムラサトシ shimomurasatoshi Satoshi Shimomura was the Producer for Duel Monsters. 358 Seiyaryu トリシマカズヒコ torishimakazuhiko Kazuhiko Torishima was the editor-in-chief for Weekly Shōnen Jump. 359 Three-legged Zombi タカハシトシマサ takahashitoshimasa Takahashi Toshimasa was an editor for Weekly Shōnen Jump. 361 Flying Penguin ヤマダノブヒロ yamadanobuhiro Yamada Nobuhiro was the Director of Game Design for Duel Monsters. 363 Fairy's Gift タカハシカズキ takahashikazuki Kazuki Takahashi is the creator of Yu-Gi-Oh!, and was credited with Original Monster Design in Duel Monsters. These passwords are used in video games to perform some action other than unlocking cards. Yu-Gi-Oh! Dark Duel Stories includes 106 unusable passwords, most of them for cards which are not featured in the game. Entering one of these passwords produces the error message "Can't Record Password! Try a different password." Four of these passwords are for cards which are featured in the game ("Wall of Illusion", Neo the Magic Swordsman", "Man-Eating Treasure Chest", and "Sorcerer of the Doomed"); these passwords are also listed as usable passwords, and when entered, they award the card to the player. Yu-Gi-Oh! Duel Monsters 4: Battle of Great Duelist, the next video game in the Duel Monsters series, features these four cards and nine others which have unusable passwords in Dark Duel Stories. 22 cards with unusable passwords were not released in the OCG/TCG until after the release of Dark Duel Stories (which was first released in Japan on July 13, 2000); four of the cards ("Mimicat", 2015; "Roulette Spider", 2015; "Dark Renewal", 2014; and "Anti-Magic Arrows", 2015) were first released over a decade later, and one card ("Beckon to Darkness") has never been released in the OCG/TCG. 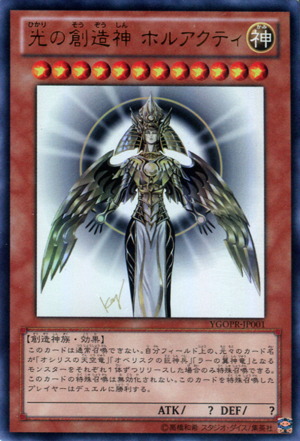 All cards which had been printed in the OCG before the release of Dark Duel Stories (all printed cards up to Magic Ruler) were featured in the game, either as playable cards or as unusable passwords. Nine of the unusable passwords have never been used for cards in the OCG/TCG or in other video games; these passwords have blank rows (other than the password itself) in the below table. The passwords are listed here in the same order in which they appear in the Dark Duel Stories ROM, though the table can be resorted by clicking on the desired column's header.